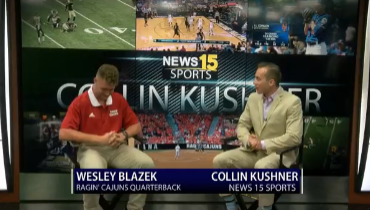 July 15th, 2018 Collin Kushner caught up with current UL Quarterback -- Wesley Blazek. Wesley was the starting Quarterback for the Teurlings Catholic Rebels his senior year (2017-18). 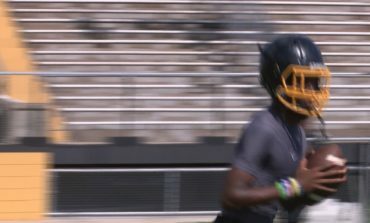 June 29th, 2018 The Leader of the Loreauville Tigers football team is not a senior. He's just a junior. Sports Reporter Collin Kushner explains how he is leading his young football team. 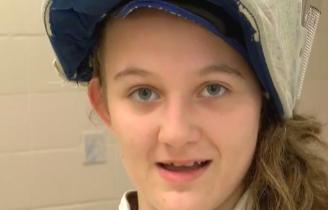 June 24th, 2018 #AOTW: Athlete of the Week with Lafayette fencing prodigy, Darby Edwards. June 24th, 2018 #AOTW: Athlete of the Week with former Carencro Hoopster, Lou Despanie. Mr. Despanie will be playing college basketball at Howard College in West Texas next year. June 24th, 2018 #AOTW: Athlete of the Week with St. Thomas More Quarterback, Caleb Holstein. 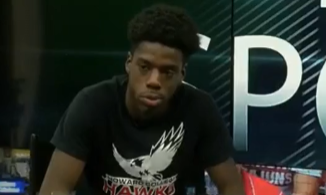 #AOTW - Greg Williams Jr.
May 25th, 2018 05/24/18 - Athlete of the Week: Greg Williams Jr. Sports Reporter Collin Kushner caught up with former LCA Knight and current St. John's hoopster -- Greg Williams Jr. Greg guided Lafayette Christian Academy to back-to-back state titles -- the only two in program history. May 10th, 2018 #AOTW - Athlete of the Week For the first time in program history, the Loreauville Tigers are in the LHSAA Semi-Finals. Senior Dale Sonnier chats with Sports Reporter Collin Kushner about the season, beards and so much more. May 7th, 2018 Athlete of the Week: #AOTW NEWS 15 Sports Reporter Collin Kushner catches up with St. Thomas More cheerleader -- Madeline Mahtook. April 20th, 2018 Athlete of the Week - April 19th, 2018 Comeaux Pitcher/Outfielder Justin Schrader has been Mr. Consistent for the Spartans all season. 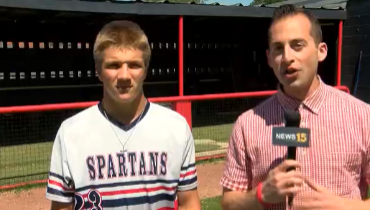 The junior talks about his future plans, success at the plate, on the mound, and in the outfield. 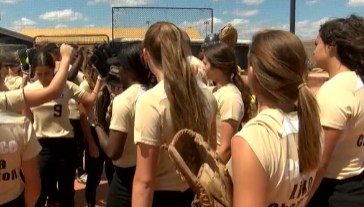 News 15 Sports Reporter Collin Kushner has the full scoop.